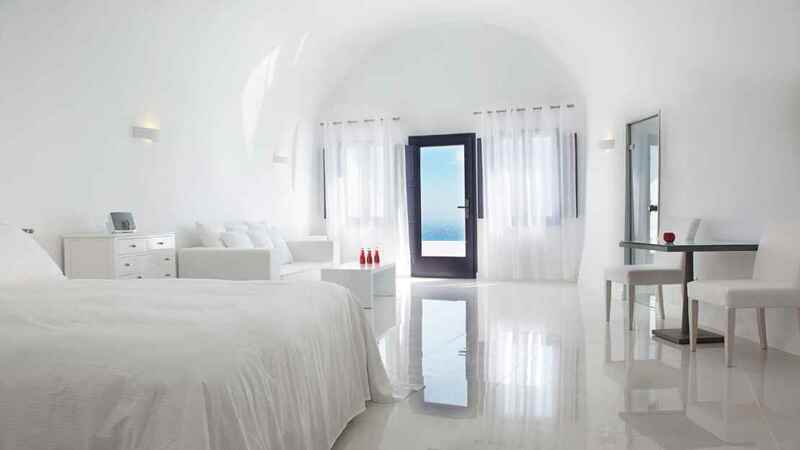 Enjoy a romantic retreat among dazzling Grecian hideaways spilling down the side of a dramatic caldera. 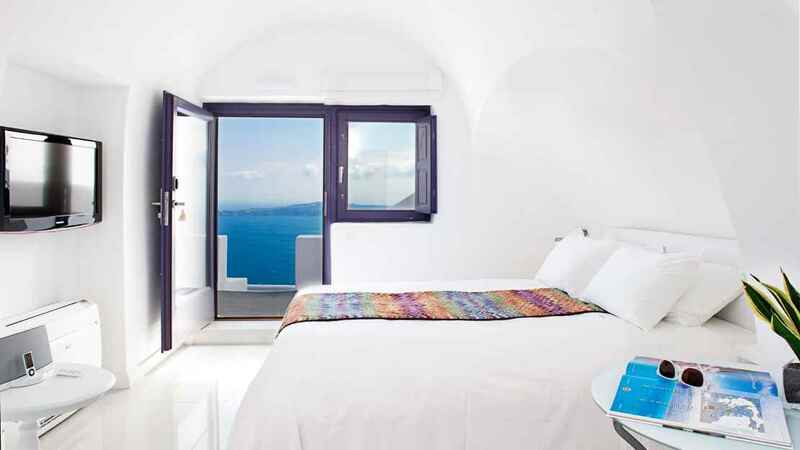 The Chromata Hotel is perfectly tucked into the hillside with sweeping views of the sapphire skies and azure waters. There are several spots for sun bathing, while turquoise pools provide perfect opportunities for a refreshing dip while looking out over the awe-inspiring vistas. 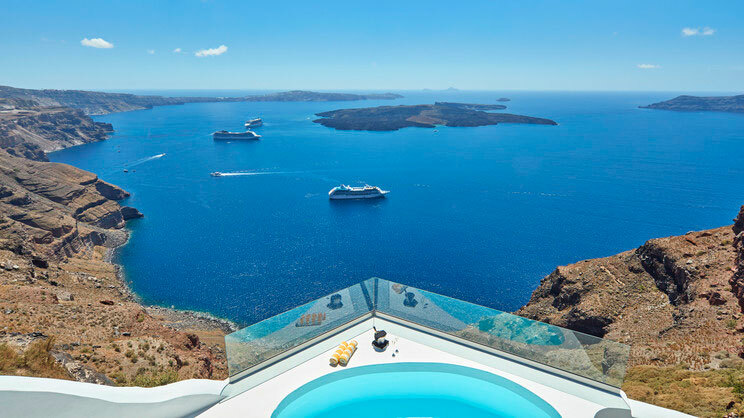 Spend sun-soaked days exploring the narrow paved streets of Santorini, before returning to the lap of luxury to enjoy fine dining with unparalleled sunset views. The hotel is situated close to the centre of Imerovigli, where there are a small number of shops, restaurants and bars. 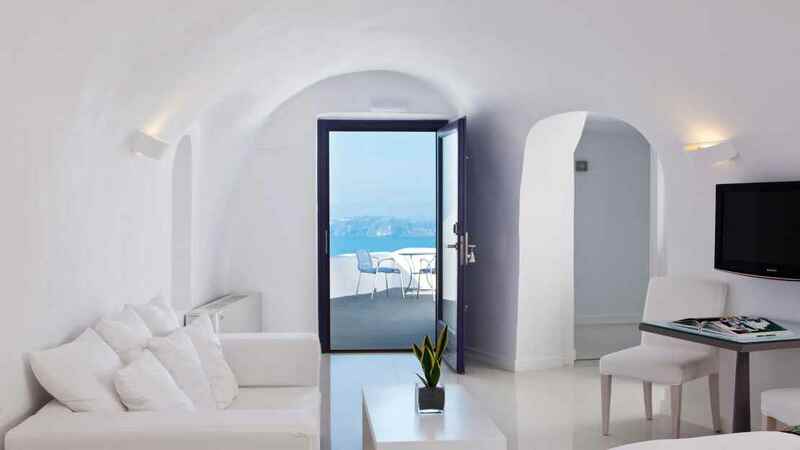 Santorini Airport is approximately 8km away from the Chromata Hotel.